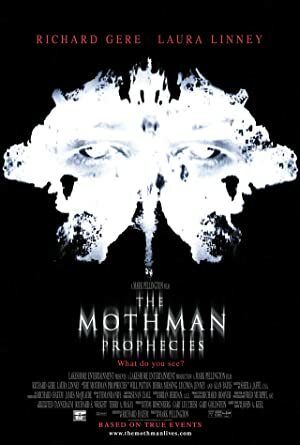 The Mothman Prophecies (2002) – What's New on Netflix Canada Today! A reporter is drawn to a small West Virginia town to investigate a series of strange events, including psychic visions and the appearance of bizarre entities. John Klein is involved in a car accident with his wife, but while he is unharmed, his wife mentions a moth shaped creature appearing. After her death, John begins to investigate the secrets behind this mentioned Mothman. It takes him to a small town of Point Pleasant, West Virginia, where he discovers a connection with the same problem. Here he meets Connie Mills, while he continues to unravel the mystery of what the Mothman really is.